I have been discussing the technologies for oil well drilling and coal mining for quite some time, and am thinking that with that review available and just about complete, it might be time to switch the focus of these Sunday information topics. While I could give a more detailed discussion of the different topics that I have covered in the past, I suspect that this would be of decreasing interest to most and so I thought to change the subject matter. What I am planning on doing is to shift focus, and start to write about the different countries that have oil reserves (or had) and what we know about them. The idea, in much the same way as with the technical talks, will be to provide an informative set of background notes, so that, for example, if the topic of the Yamal gas fields comes up, you would know a little about where they are (a peninsula in Russia), and how much gas (maybe 30 trillion cubic meters) is there, as well as how soon they will be developed (not this year). That is the plan for the future, but before moving there, I would like to revisit coal mining to wrap up the discussion with a small number of posts about surface mining. The first use of coal came from finding outcrops where the coal could easily be picked out of the seam, or where, in the North of England, the sea would do the mining and wash the coal up on the beach, where it could be collected. Even today there are still areas around the world where there is coal very close to the surface, which can easily be uncovered and removed. Some years ago a farmer came to my office to discuss what he needed to do to mine a layer of coal he had found in his farm (in central Missouri) just below the surface. All that was needed, he thought, was a blade for his tractor to push the soil away, and then a loader to scoop up the coal and take it to market. I had to explain that those simple times had passed, and that there was a considerable body of regulation that he had to comply with before he could do that. And also he had to restore the land to the way it was, after he was done. The profit he had anticipated, faded as he went through some of the costs that he would have to face. However, and this was part of my first talk at the ASPO-USA meeting in Washington earlier in the month) the technology for mining that coal on the surface remains at about the level of simplicity that he anticipated. Coal supplies, whether in Africa, Asia, Europe (though to a more limited extent) and America are still available that can be extracted with nothing more than a shovel. Now, having said that, the size of the shovel has undergone a significant change since the time that I manually wielded one, to move 15 yards of coal from the face to the conveyor (as I recounted in the video). And as an aside, the shape of mining shovels differs a bit from those usually seen at the surface. The heart-shape allowed you to get under the coal and pry in a way that the square and molded shovels more common on the surface did not, though most of them came without the cross piece at the top end. Today’s shovels are electrically powered and have bucket sizes that can pick up between 7 and 36 cubic yards of material in a single scoop. They routinely fill 400-ton haul trucks in two to three scoops in operations at the tar sands, and in mines around the world. 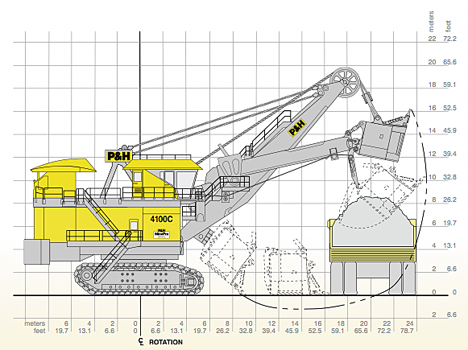 Shovel schematic to give an idea of size – the bucket can hold 170 tons, some 60 cu yds. of material. With that relatively large-volume, simple approach it is difficult to envisage something that can be simpler or more economic, in the mining of minerals. And as long as this technology can be applied, the need for more advanced mining means does not exist. (And this was part of the talk that I gave at the ASPO meeting). Mining shovels such as that shown above, which are generally powered by electricity – you can see the cable if you look closely – are used for the more precise removal of material that is needed when mining the valuable material, whether tar sand, coal or a metal ore. To remove the rock and dirt that lie on top of this valuable material, where there is not quite the same need for precision, it is quite common to use a machine known as a dragline. (There is a video of one working here.) Here the bucket is not rigidly connected to the boom as with the shovel shown above, but is instead connected through ropes. This, historically, made the bucket more difficult to control. However the arrival of the computer to both monitor and control rope position, now makes it much easier to "spot" and unload the bucket than in the past. A bucket might move 150 cu. yds at one time with an operating radius of some 350 ft, digging down to a depth of 180 ft and dropping the spoil in a height of up to 160 ft. That doesn't mean that they don't get stuck, or collapse on occasion. The size of the shovels thus make it possible to mine very large quantities of material at one time, and make the economics of large-scale mining practical. The critical dimension is typically the relative depth of the soil and rock over the coal seam, in relation to the thickness of the coal. It is known as the stripping ratio, so that a coal seam that is 5 ft thick, for example, at a depth of 100 ft, would have a stripping ratio of 20. Depending on the costs of mining, and the quality of the coal, that may or may not be worth going after at this time. There are other machines that are used in different parts of the world, the largest being the bucketwheel excavator, which usually only get into the news when they are on the move. These machines work extremely well in a controlled environment, but are extremely expensive, and when they are down, so is production. (One of the main reasons that they are no longer used in mining tar sand in Canada.) Mind it is not wise to get one irritated, since they have been know to eat uppity other equipment. That aside, the nature of the rock and other material overlying the seam will also influence how that material (which is called overburden) is removed, and I’ll discuss that process in more detail next time. 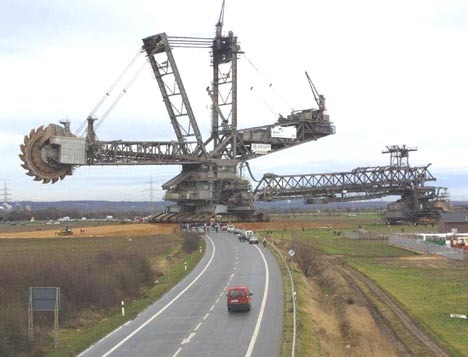 I heard from a friend that the biggest mining machine in the US (by bucket size?) was in Kansas, though no longer used. I think the mine had played out and the machine was too big to move anywhere else. H O, do you have any information on this? I just ran it through Google,. This is in the lead-mining area west of Joplin, Missouri, and south of Pittsburg. stripmine.org has...heaps o' info on these big rigs. the link didn't work on Firefox, since there is no link, just a name. n.b. "stripmine.org" is properly interpreted as a relative link, i.e. within the "http://www.theoildrum.com" hierarchy. (best on a single line) will wrap it in the right html. No need to try the "a" tags. (still need an absolute URL though). Use your browser "view page source" to see what it does. The website claims there is a 200 - 300 year supply of coal in the US. Huh? And that coal is clean. Double huh? Have these people heard of Dr. Albert Bartlett or Richard Heinberg? Me thinks not. Absolutely amazing to see the big mining shovels (or what is left of them) up close. Big Brutus was the biggest when it was made, but was surpassed by Silver Spade / GEM of Egypt in Eastern Ohio. This spring I saw the remaining Spade parts, bucket, few track links, cable and gears. It was cut up a few years ago, as there is a limited market for Ohio high sulfur coal. I stopped by Brutus this fall. 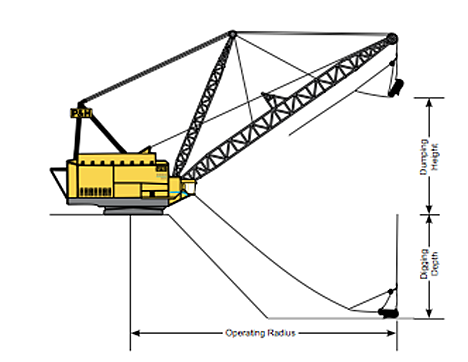 Big Muskie, a 220 yd dragline, was scrapped 10 years ago as it was less expensive to operate smaller machines, and had limitations on the ground where it could be operated. I believe it has the record in terms of bucket size and weight. The power plant it supplied in Southeast Ohio now gets lower sulfur coal shipped in by rail from West Virginia and / or the west. It is interesting to see the equipment lists for the smaller mining firms that remain in Ohio. Hydraulic excavators and bulldozers are replacing stripping shovels and draglines. It is interesting to see the increase in size of the largest dozers from 1960 to present. Back then the biggest was a +300 HP Euclid. Now the biggest is a +1100 HP Komatsu. HO, are you entertaining some thoughts of collecting all these tech talks in paper form, aka "books", and publish it? I know one who would by a copy once it hits the shelfs. Am realy looking forward to the reserve analysis thing you are planning. Thanks for the kind thoughts. I did write a book once, and have edited my share of conference proceedings that ended up in book form. It took me 5 years to do the first book, and I don't have any plans at the moment to repeat the effort. At some stage I may see if there is a better way to index them, however. What I am planning on doing is to shift focus, and start to write about the different countries that have oil reserves (or had) and what we know about them. I look forward to these and would like to say "Thank You" for all the time and effort you put into supplying all this information for the rest of us. Marion also made the transporter crawlers for the NASA Apollo program and that are now used for the Shuttle. I notice you say the mining shovels are generally electrically operated. That makes them less dependent than they might be. Theoretically, the electricity might be made from locally mined coal, to make the system fairly sustainable (unless there were too many broken parts that couldn't be replaced). Coal-fired power plants are often located where there is a mine that can supply the coal for the life of the plant. There are some mines whose whole existence is tied to a single plant, and the coal can come from the mine, on a conveyor, and be fed straight to the plant. In general the amount of power that the mine needs, relative to that produced by the plant is relatively small. The transition to using coal from the Powder River basin rather than local coal was driven in many cases by the costs of burning local coal, not that the coal wasn't there. As transportation and other costs rise, the benefits of local coal become more apparent, particularly since it can often contain more energy per ton. Maintenance issues are, of course, a continuing concern to mine management. Mine geology is not particularly consistent and so skilled operators are also very important. HO: I have very much appreciated the technical briefings you have given us. I think they are an essential background to proper discussions on our energy future. It would be interesting to compare the energy output of one of the big bucketwheel excavators with that from a small oil-well, for example, just to get a sense of the magnitude of change required as oil becomes scarce and we have to change to coal-derived alternatives. I am looking forward to you next series with pleasurable anticipation. I think that you will find that the Black Thunder mine in Wyoming produces the coal equivalent of 1 million barrels a day of oil. They use 22 shovels to load the coal into a fleet of almost 150 haul trucks which each can move 300-tons of coal, (enough for 3 rail cars). Until earlier this year I worked on electrical engineering servicing of draglines in the Hunter valley open-cast coalfields in Australia. 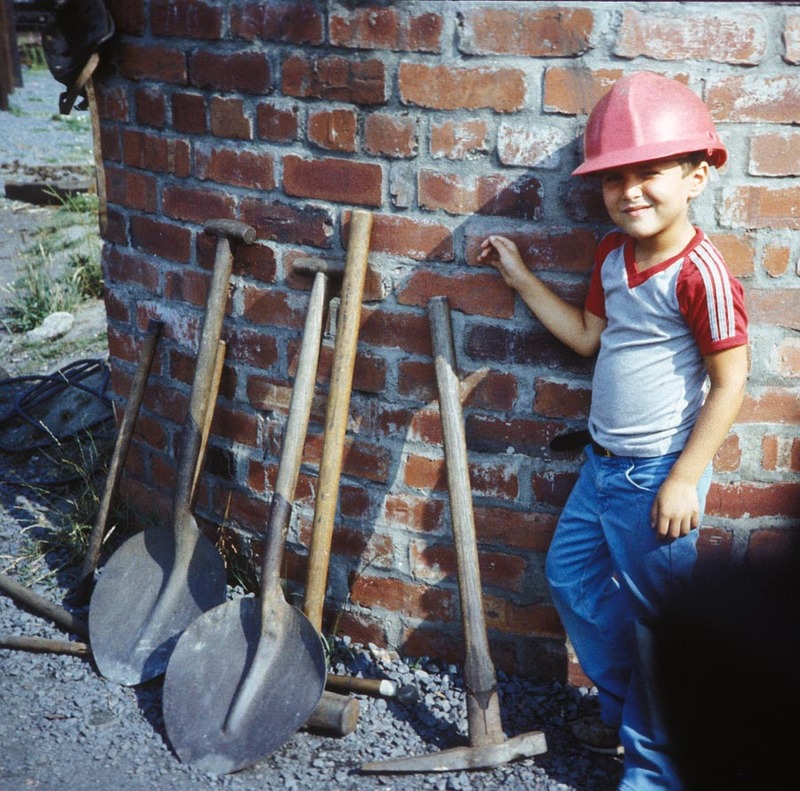 I didn't get to visit any shovels as our company did not have the contract to service them. Draglines are certainly engineering marvels with a medium sized dragline consuming up to 10MW of electricity at peak power and being about 5000 tons in weight. Nearly all but the smallest draglines are electrically powered because it is cheaper. The people on the mines I spoke to say that in Australia draglines are about 35% of the cost of moving a ton of dirt compared to diesel powered equipment. They do have a tendency to go wrong though, which kept me in work. Supposedly the mine loses around $18,000 for each hour the dragline is out of service. One thing to note is that draglines don't actually mine coal, unlike shovels, they only remove the rock overburden. People on the mines tell me that around 1 part of coal is extracted for every 10 parts of overburden moved - below that ratio and things get uneconomic. 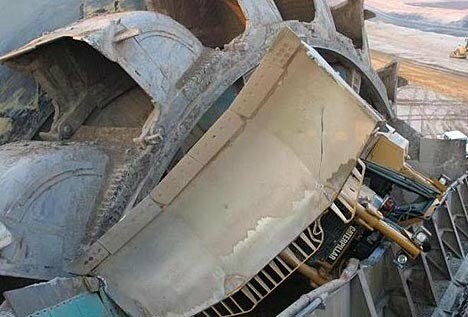 Draglines also don't remove solid rock. It is exploded from one wall of a huge trench and the debris falls into the trench. Then the dragline which is positioned on the opposite side of the trench scoops up the rock and it puts it behind it. This is done until the level of the coal seam is reached. Then the coal is itself exploded and is removed by either diesel loaders or electric shovels into trucks and driven to the coal processing plant onsite. This continues along the length of the trench with the dragline shuffling up and down. Then the process is repeated with the excavation gradually moving across the landscape. I am told that the major cost for an open-cast mine is wages followed by explosives then fuel (diesel and electricity) followed by tires for haul trucks. Any questions, just ask and I will be be happy to answer them.